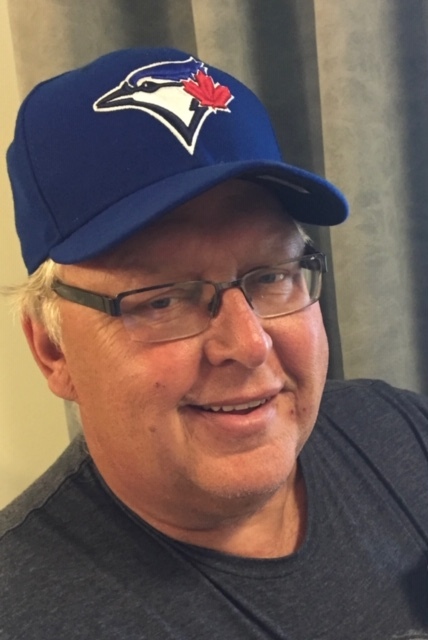 KOWAL: David Anthony Kowal of Brandon, MB passed away peacefully, surrounded by love and family, at the Assiniboine Centre (Brandon Regional Health Centre) on Friday, April 5, 2019 at the age of 62. Dave was born on July 1, 1956 to Anne (Wuschenny) and Tony Kowal, and he was followed quickly by his twin brother Dennis (to the surprise of everyone, including older brother Larry). He attended Solsgirth School, Birtle Collegiate, and Red River College; and he worked at Westman Lab for 40 years. A hard worker, Dave believed in being ready, arriving early, and staying late. He was well-known, highly-respected, and much-loved in Brandon as a knowledgeable lab technologist, bighearted volunteer and neighbour, lifetime sports enthusiast, resonant baseball announcer (and cool dad). Dave was exuberant, optimistic, and generous. He delighted in playing games, teaching, and telling jokes. He thrived in get-togethers (the bigger the better); he loved talking with people, and he never let the facts get in the way of a good story. A confident public speaker, Dave was a natural announcer for Brandon Marlins baseball and AAA hockey. He had a lifetime of trivia and stories about curling, including ice-making and an honoured visit to the 2019 Brier. Dave enjoyed playing cards, and he loved his Inukshuk cribbage group which played every Friday, in sickness and in health. Travel was a priority for Dave; and he was proud to have completed his ‘bucket list’ items: seeing a game at every major league baseball stadium, visiting all 50 states, and drinking a Tim Horton’s coffee in every province. Dave was so happy to (re)meet Gerrie Taylor at a baseball game, and they became partners in travel and at home, in love and in life. Dave enjoyed yard work and field work; and in retirement he spent a lot of time on the farm, always visiting his brothers and grandkids on the way. Dave loved life, and each day he focused on something to do, someone to love, and something to look forward to. Dave was predeceased by his father, Tony, and an infant daughter, Amy. Dave is survived by his partner, Gerrie Taylor; son, Jeff Kowal; daughter, Kara (Barry) Rost and their children, Abbi and Brock; mother, Anne Kowal; brother, Larry (Jean) Kowal and twin brother, Dennis (Debbie) Kowal; Jeff and Kara's mother, Karyn Kowal; numerous beloved nieces, nephews, aunts, uncles, cousins, and members of Gerrie's family. Dave was the favourite of many people, and he loved and treated each of his family and friends as a favourite. A service to celebrate David's life was held at Central United Church, 327 - 8th Street, Brandon on Thursday, April 11, 2019 at 2:00 p.m. with David's longtime friend, Kurt Ardron officiating. A private family interment took place at St. Michael's Ukrainian Catholic Cemetery, Olha, MB. 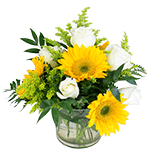 In lieu of flowers, if friends desire, donations in memory of David can be directed to the Brandon Regional Health Centre Foundation, 150 McTavish Avenue East, Brandon, MB. R7A 2B3.